What are the essential elements of Superman? An alien from another planet who fights for Truth, Justice, and the American Way. Flight. X-ray vision. Heat vision. Cold breath. A side gig as a mild-mannered reporter in a dying industry. Yes to all of the above. But also: A costume with red underpants on the outside. Superman’s red underpants have been a part of his costume for the better part of a century, originating in his very first appearance in Action Comics #1. Through the years, he’s gotten some minor updates and upgrades, but the essential elements, including the underpants, remained set. That changed in 2011 when DC Comics relaunched its entire line in a series called “The New 52,” rewriting their continuity and making some serious changes to its characters. At that time Superman’s classic look was replaced with an armored look with no underpants on the outside. It was, in short, a travesty. A few years later, DC changed his costume again during a new storyline called “Rebirth.” Not only did this version continue the lack of the red underpants, it also did away with his classic red boots as well. Frankly, it was unacceptable. At the same time, the newest movie version of Superman, played by Henry Cavill, got a underpants-free costume in Man of Steel and Batman v Superman. Instead, it had little swooping lines on the side. Yeah no. Fast forward to 2018. Action Comics is approaching an incredible milestone, its 1,000th issue. 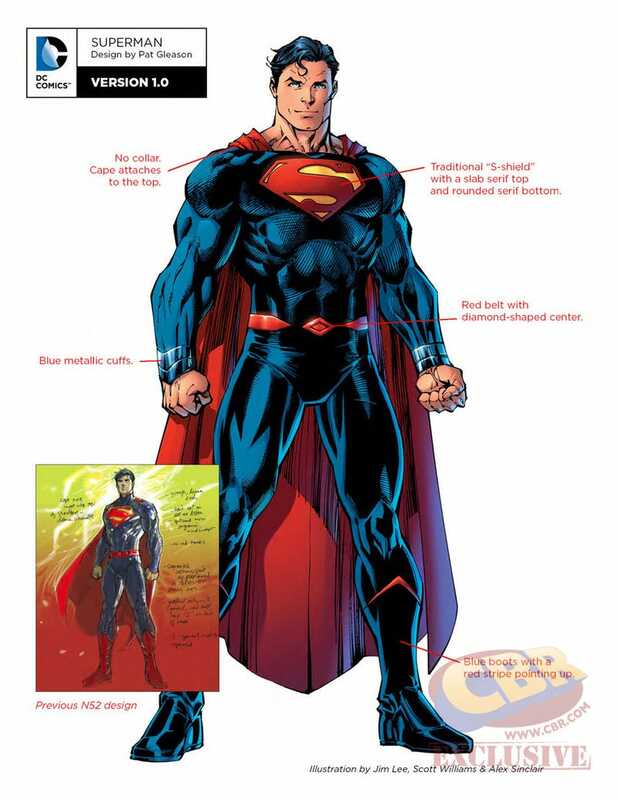 To mark the occasion, DC is giving the Man of Steel another new costume, this one with a decidedly retro vibe. Red boots? Check. Yellow belt? Check. Red underpants? Ohhhhhh helllllll yeah. Finally, there is order in the universe once more. Seriously, though: Superman needs underpants on the outside. I know that the original costume was inspired by strongman and circus outfits which don’t really exist in the same way in 2018. So what? Superman is an alien from a faraway planet; shouldn’t he have strange ideas about fashion? What’s more alien than wearing underpants on the outside? Nothing, that’s what. Are underpants on the outside impractical? You bet. But what on Superman’s costume is practical? Spandex with a belt? Gigantic boots? A huge cape? That thing is not designed for ease of use; it’s designed to make a dramatic visual statement. Anyone who wears underwear outside their pants makes the most dramatic visual statement. One of the core values of Superman’s identity is that he is a strange visitor from another planet. He’s a beacon we all aspire to, but will never achieve. Take away his underpants, and Superman is just a dude who’s trying to fit in. That’s not the Man of Steel’s style. He’s here to stand up for the little guy; the misfit, the outsider. The red underpants are the ultimate signifier that Superman may look like us, but he is not like us. And that’s why we love him, underpants at all. The new, underpants-heavy costume debuts in Action Comics #1000, on sale on April 18.